The second place we visited during our stay in Vietnam was Hanoi, the country Capital that is some 2,000 km north from Ho Chi Minh City. Hanoi is a 3 million people city placed on the right bank of the Red river that flows from china and end in the Gulf of Tokin in the South Chinese Sea. 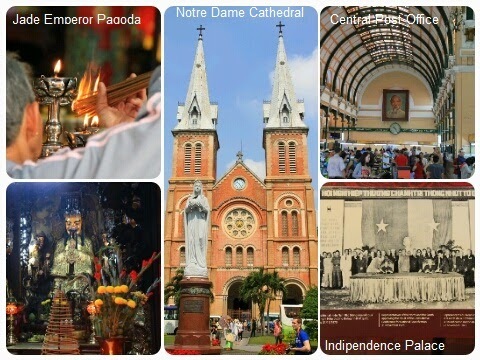 Formerly capital of French Indochina, became the capital of North Vietnam after the independence of the latter and after the North’s victory of the Vietnam War became the capital of a reunified Vietnam. It is the city of Ho Chi Minh, the leader of the North’s forces that lived and ruled from Hanoi the war against the French first and Americans later. 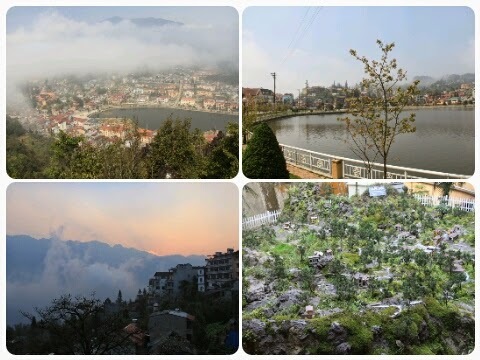 The things to see in Hanoi are few and could be easily visited in one/two days stay. 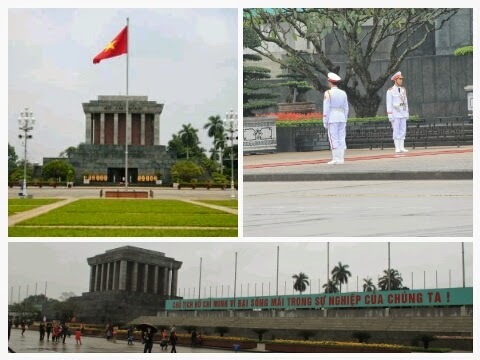 The first thing your tour operator or your travel guide will suggest you to visit is the Ho Chi Minh Mausoleum. A big building built in a dedicated plaza where the embalmed body of Bac Ho rests. We had to wait a while before entering the room because of the long line of tourists that wanted to see the body. We did not be surprised when our guide told us that even though the official propaganda says that the body is original, rumors among the local population state that the body is just a perfect replica and the real one is hidden somewhere else. True or fake, inside the room it is not allowed to take photos, talk, keep the hands in the pocket and the body is 24h per day, 7 days per week under surveillance of armed soldiers in deep adoration. Adjacent to the Mausoleum there is the Presidential Palace, a beautiful French style building that was used as house by the French Governor-General of Indochina until North Vietnam gained independence in 1954. The legend says that Ho Chi Minh refused to live in the grand structure for symbolic reasons, preferring to build a traditional Vietnamese stilt house and a carp pond on the grounds close to the building that he nevertheless continued using as meeting place where he received state guests. The stilt house is composed of two rooms, both of which are no bigger than 10 square meters and contains Ho’s legendary personal effects. The house does not have even a toilet being Ho supposed to have scrapped them from the original design. He used to receive food and other necessary things from the residential building placed nearby. After the visit to the Ho Chi Minh complex, we went to the Temple of Literature, a temple dedicated to Confucius and place where the first Vietnamese national university (the so called Imperial Academy) was settled. The “Complete Annals of Đại Việt” describes the foundation of the temple as: “In the autumn of the year Canh Tuat, the second year of Than Vu (1070), in the 8th lunar month, during the reign of King Ly Thanh Tong, the Temple of Literature was built. The statues of Confucius, his four best disciples: Yan Hui, Zengzi, Zisi and Mencius as well as the Duke of Zhou, were carved and 72 other statues of Confucian scholars were painted. Ceremonies were dedicated to them in each of the four seasons. The Crown Princes studied here.”. The place is very peaceful and meditative even though the hundreds tourists constantly wandering around, leaving the visitors to feel the contemplative atmosphere created in centuries of studies. Among the various gardens there is one particularly interesting where the Steles of Doctors were built in 1484. Those steles are a valuable historical resource for the study of Vietnam culture, education and sculpture but unfortunately out of 116 steles erected, only 82 remain depicting names, birth places and graduation date of the 1307 students graduated in 82 triennial royal exams. 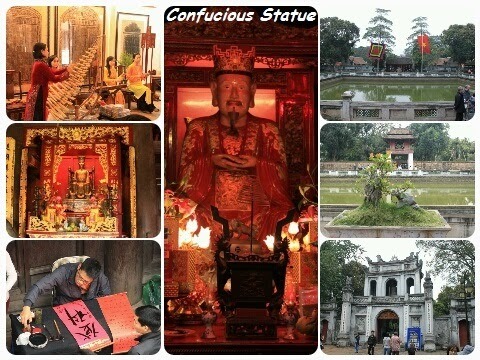 In the fourth courtyard there is the “Dai Thanh sanctuary” where the altar of Confucius and his four best disciples are honoured. A dedicated orchestra plays traditional Vietnamese songs in an adjacent building to honour Confucius and the royal founders giving the chance to the visitors to enjoy a rare moment of tranquillity and admiration for the skillful use of the Vietnamese traditional instruments. 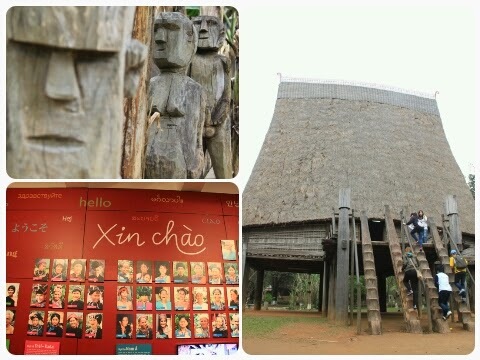 After the temple, our guide brought us to the ‘Vietnam Museum of Ethnology’ that is a must see for those who like to delve into the history and habits of the 54 ethnic groups that live in the country. Well the items provided in the museum are not exactly of the same historical value as Rome , Athens or other ancient cities but it gives to the visitors a good chance to understand the different habits and cultures of the various groups. Out of the 54 groups one is predominating the others: the Kinh also called Viet that represents almost the 87% of the population. The remaining 13% is represented by the others 53 groups that therefore are a very small minority. Outside the classical museum there is a nice courtyard where ancient houses and constructions have been reproduced for the visitors satisfactions. During the day and half we stayed in Hanoi we had some spare time to visit the lake and the surrounding of our hotel (see the Vietnam Hotel Review post for more details). The city is very quite and nice and totally different from Ho Chi Minh City. The Tuc Tuc ride we had in the late afternoon of the last day in Hanoi was really interesting. It is curious to see how million of motorbikes could manage to drive everywhere without any particular limitation without crashing one in each other. Just like the fish in the sea. It seems to be very famous also the “Thang Long Water Puppet Theatre” for which you should book well in advance. The show is very interesting even though is in Vietnamese and the seats are for small people, probably children. I am 193 cm and had a lot of problem to accommodate somewhere my legs. This entry was posted in Exploring, Holiday, Review, Travel and tagged adventure, asia, explore, hanoi, Ho Chi Minh, holiday, temple of literature, travel, vietnam, Vietnam war on June 3, 2015 by andreadetto. From Dubai there is only one direct flight to Vietnam and it is an Emirates flight from Dubai to Ho Chi Min City (formerly known as Saigon). Our two weeks holiday, therefore, started and ended in the former capital of South Vietnam that still has the “capitalistic” influence of the Americans and the architecture of the French. HCMC in fact is more complex and westerly structured than the current capital Hanoi placed some 2,000 km up north and that is still a traditional socialist city. The first thing that we noticed in surprise was the huge amount of motorcycles wandering around as fishes in the sea. We have been told that out of 9 million people living in HCMC, around 5 million use exclusively the motorbike for moving around. Most probably, the reason of this choice is the existence of a 200/300% tax applied to the car sale that makes this mean of transportation very expensive for people that averagely earn 1,500 USD per year. The city was called Saigon but it was renamed in Ho Chi Minh City after the conclusion of the Vietnam War in honour of Ho Chi Minh, the leader of the socialist party that fought against the French first and the Americans later. surprisingly enough, we met many tourists coming from the States that wanted to visit the place where the US Army had such an hard time and caused many victims expecially with the use of chemicals weapons. During our stay in HCMC we visited many places out of which I would recommend few that should not miss in your list as follows. – Notre Dame Cathedral: a Romanesque style church built during the 19th Century to support the French colonials after the conquer of Cochinchina. All the construction materials were brought directly from France. In 2005 the Virgin Mary statue was reported to have shed tears. – Central Post Office: built in the early 20th century in a neoclassical architectural style, it was designed by the famous architect Gustave Eiffel in harmony with the surrounding area. – Reunification Palace: it was the home and workplace of the President of South Vietnam during the Vietnam War and became the symbol of North Vietnam victory when on April 30, 1975 a North Vietnamese tank bulldozed the main gate and occupied the Palace. From November 1975, Ho Chi Minh changed its name to Reunification Palace in order to celebrate the victory in the long lasted war. 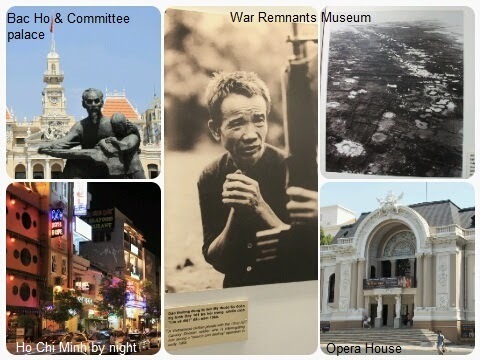 – War Remnants Museum: a must see museum in Vietnam with a lot of exhibits related to the American part of the war. Even though with a bit of ‘propaganda’ added here and there, the museum could help the visitor to understand the horrible atrocities committed during this ideological war that was actually started by the French. – Jade Emperor Pagoda: The Jade Emperor is in the Chinese culture the ruler of Heaven and it is one of the most important Gods in the Chinese traditional culture. It is also worshipped by Taoist and represents the Cao Dai for Caodaism. Other than the Jade Emperor there are also a fertility goddess, the Lord of Hell and even the Buddha of the future. The entire collection is somewhat of a fusion of Taoist, Buddhist and Confucian mythologies. 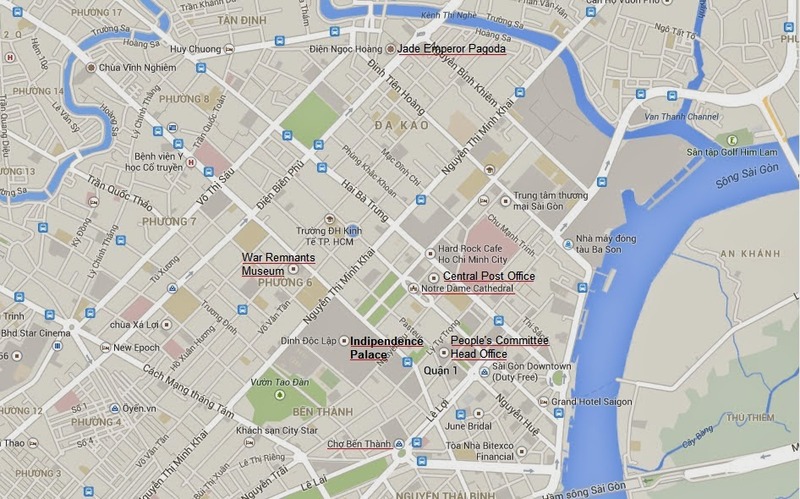 – Saigon Opera House: a clear example of French Colonial architecture in Vietnam. – Ho Chi Minh City People’s Committee: formerly a luxurious French hotel, after 1975 has been assigned to the people’s committee. It is not open to public for visit but it is an astonishing example of French colonial architecture. In front of the palace there is the Bac Ho statue (Uncle Ho). 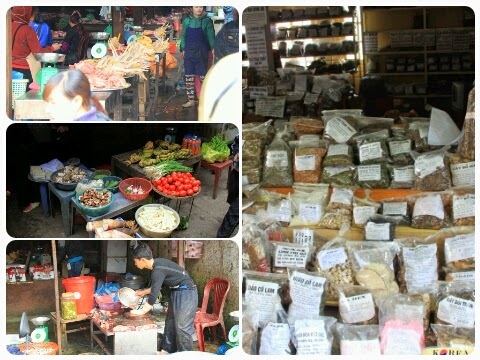 – Cho Ben Thanh: If you seek for a local market where is possible to find some present to bring back home, you might want to visit this market (cho in vietnamese). Just be informed that there is no air conditioning inside and most of the time you can get a 75% discount after a very minimal bargain. I remember that my partner asked, just for curiosity, how much was a giant dead scorpion in a glass box. The guy replied 5,000 dong. She politely thanked the guy and walked away. “4,000 – 3,000 – ma’am 2,000 – ok, for you 500 dong” . . . everything in less than 20 seconds. We managed to visit almost all the attractions by walk, however Jade Emperor pagoda is quite far from the centre and we needed to take a Taxi. We have been told that it could be risky to take a taxi in Vietnam unless it is a respectable and trust-able company as Visasun or MaiLinh. We took a Visasun taxi and even though the driver did not speak a single word of English, we managed to show him a local map and he dropped us just in front of the Pagoda. Just take note of few suggestions: ask always to have the meter on, ask someone else how much should be the fee to be paid before getting into a taxi (we asked to a waitress in a restaurant before taking the taxi) and how long it will take the journey, just to avoid any possible scam that apparently is not that uncommon. This entry was posted in Exploring, Holiday, Travel and tagged adventure, asia, explore, ho chi minh city, holiday, saigon, travel, vietnam on June 1, 2015 by andreadetto. It was the end of 2013 when we start thinking about our next holiday due to be in March 2014. We did not have many options because being based in the Middle East (myself in Saudi Arabia and my partner in Dubai), we had already explored the closest tourist destinations like Malaysia, Maldives and Oman just to name a few. The winter season forced us to discard Europe and the monsoon season forced us to avoid Bali and other locations affected by heavy rains. For this reason we decided to move eastwards looking for a more suitable weather and all of a sudden we decided to visit Viet-Nam. We had been told that Vietnam is a quite new destination for tourists and that it is really enjoyable but most of the Vietnamese do not speak English and therefore it would have been hard to self-organize a two weeks holiday. 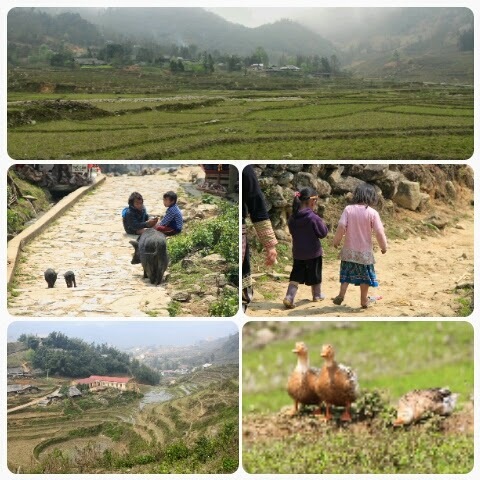 For this reason, we contacted a local tourist agency (Vietnam Holidays) that organized for us the whole trip following our desires. As you might know, when you start organizing a trip you have the tendency of adding things to do and places to visit to realize later that maybe you have asked yourself too much. Our holiday was more a “tour de force” than a leisure holiday because we managed to visit 7 different cities from the North to the deep South of the Country by getting 3 internal flights and driving more than 30 hours, cruising 3 days for a total of almost 4,500 km travelled. But we loved our trip. We saw so many things. Explored so many places. Ate so many different dishes. Amazing. At the end of the holiday we were exhausted but happy. This entry was posted in Exploring, Holiday, Travel and tagged adventure, asia, explore, hanoi, hoi an, holiday, saigon, sapa, travel, vietnam on June 1, 2015 by andreadetto.